Justice Minister Owen Bonnici has hit back at suggestions that he misled MEPs during a tax committee hearing held earlier this week. 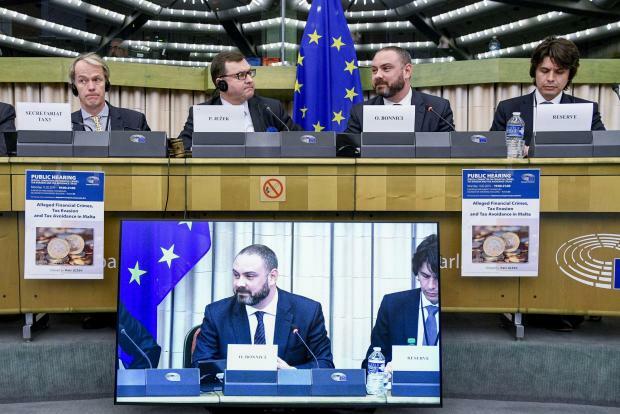 Dr Bonnici met with the EP’s TAX 3 committee on Monday, hitting back at critics of Malta’s rule of law and insisting that the government was committed to reforming systems where needed. The Times of Malta subsequently published an article in which it fact-checked a number of Dr Bonnici’s claims to MEPs. Dr Bonnici took umbrage to that assessment, saying it missed the point “on every matter raised”. “I gave no wrong information to the TAX 3 committee,” the minister said. He argued that it made no difference that the names of Maltese passport buyers were not published in isolation, saying “the fact remains that Malta publishes the names as distinct from what goes on in other countries”. Dr Bonnici said some politicians had obviously not liked the fact that local courts had thrown out their claims to have Panama Papers revelations investigated. This, he said, was something which MEPs on the TAX 3 committee would have known. Dr Bonnici said he had been given access to the full Egrant inquiry in order to advise the Prime Minister as Justice Minister. He also took exception to the suggestion that the government had only solicited a Venice Commission opinion on Malta’s rule of law after the Council of Europe had. “Irrespective of the three-day gap between the request of a Committee of the Parliamentary Assembly of the Council of Europe to the Venice Commission and that of the Government of Malta, the fact remains that the Government itself invited the Venice Commission to express its opinion on Malta,” he said.